Tired of frying your hair with curlers? Or maybe just looking for that loose look you can't get with a curler? 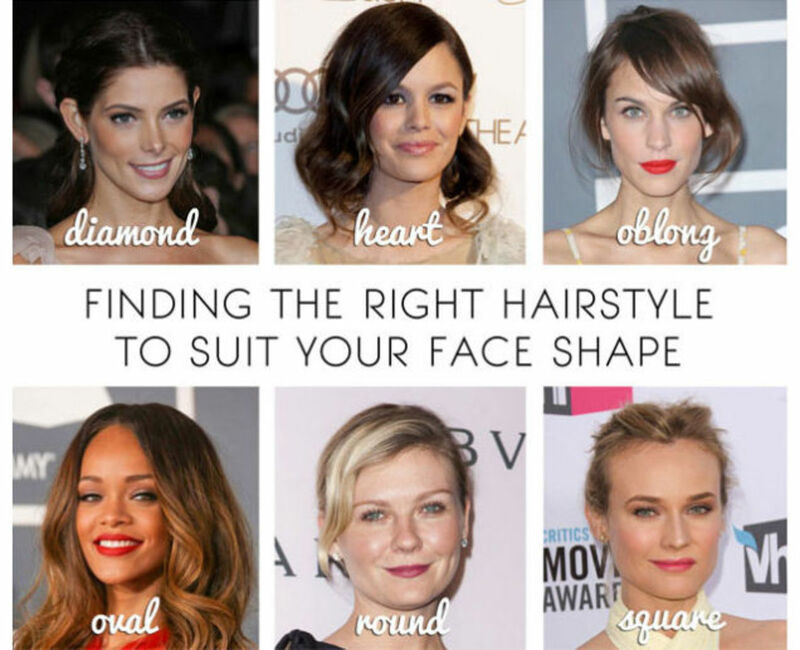 Try out this wave/curl quick hairstyle that will give you the perfect look during any season. Take a shower or wet your hair. Your hair does not need to be soaked but it will be less frizzy if it is. Make sure to put in some leave in conditioner or anti-frizz serum. Brush out those locks - carefully as wet hair breaks easily. 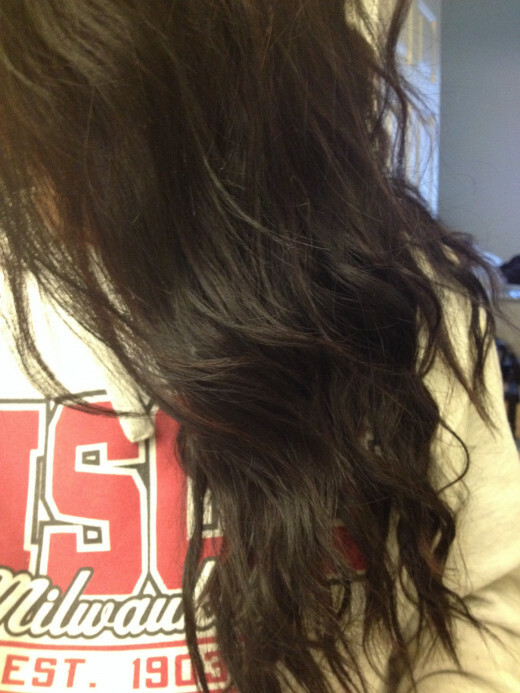 My favorite thing to do is to just use my own conditioner and use that as a leave in. Don't add it to your roots though, or you may be sacrificing volume. 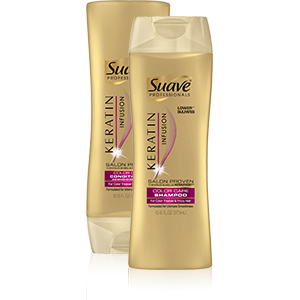 For colored hair, try Suave's line of Keratin Color Care Shampoo & Conditioner. Part your hair into three sections. One for the back and two for each side. Start with the back section and twist the hair. The tighter the twist the smaller the wave, so you can adjust to your liking. This may take a few tries to get just right. 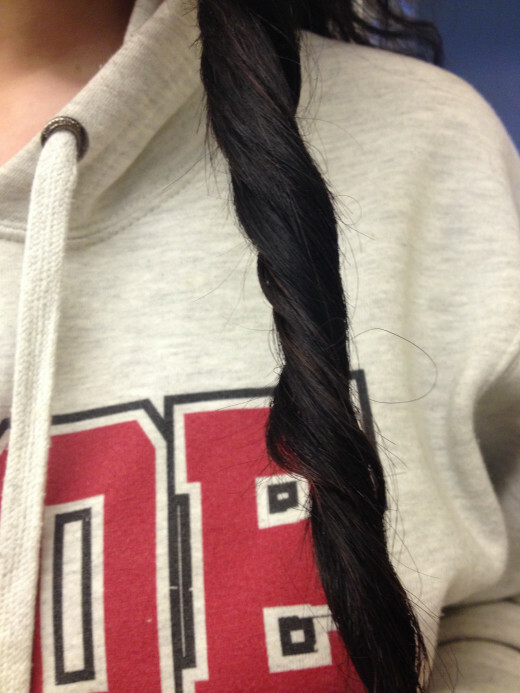 This is about how tight you want to twist the hair for waves like the first picture. This part is the trickiest. Start with the section from the back of your head (if you don't, you may end up with a kink in the back) and pull it up and over your head. If you have long hair you might have to wrap around twice. Then, use bobby pins to secure the hair to your head, use several in multiple spots to make sure it doesn't fall out when you sleep. Repeat step 3 with the two other sides, securing the twists comfortably. Once I finish pinning the twists to my head, I add a few sprays of shine spray. 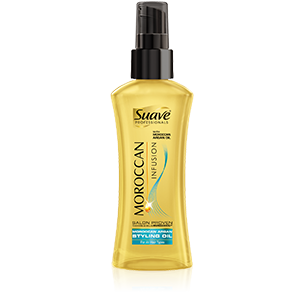 Suave's Moroccan Infusion Styling Oil not only smells fantastic but adds shine to those lustrous waves. See how the ultra-light formula in our Moroccan Infusion styling oil instantly conditions without weighing hair down, resulting in long lasting, silky shine. Sleep with these twists in. When you wake up, you will have beautiful waves and your prep time will be tremendously shorter. If necessary, use a straightener to smooth out any odd kinks. 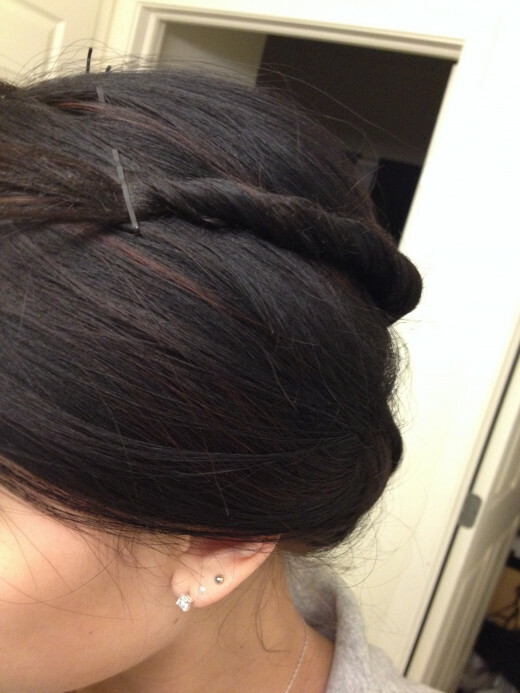 Did this hairstyle work for you?